After an awesome adventure at the Hundred Islands, I and my friends stayed overnight in one of the forgettable hotels in Alaminos. But the breakfast they served was definitely something to remember and rave about. 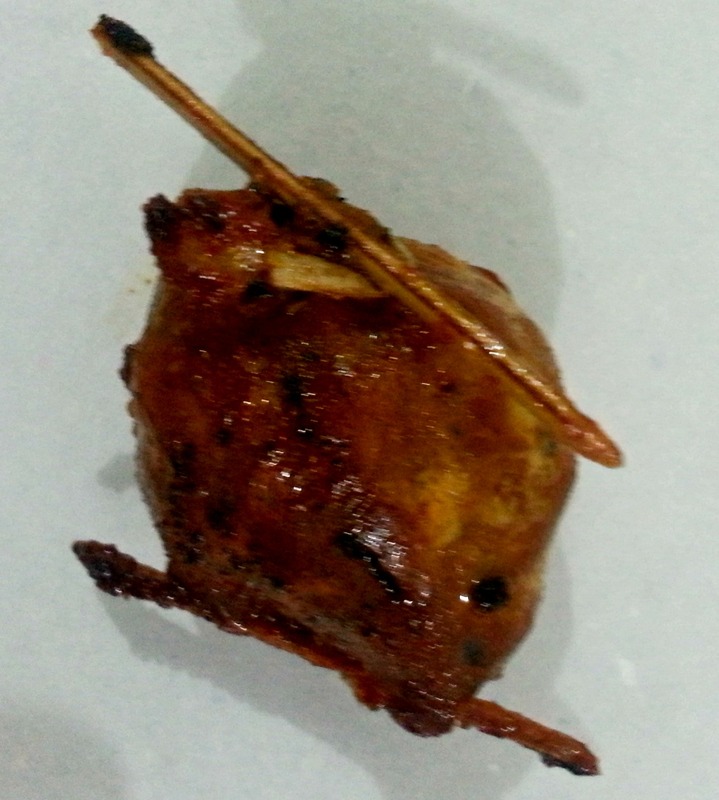 It was the un-popular yet very tasty Alaminos Longganisa. I am writing about Alaminos Longganisa because this is the culinary highlight of my Hundred Islands adventure. 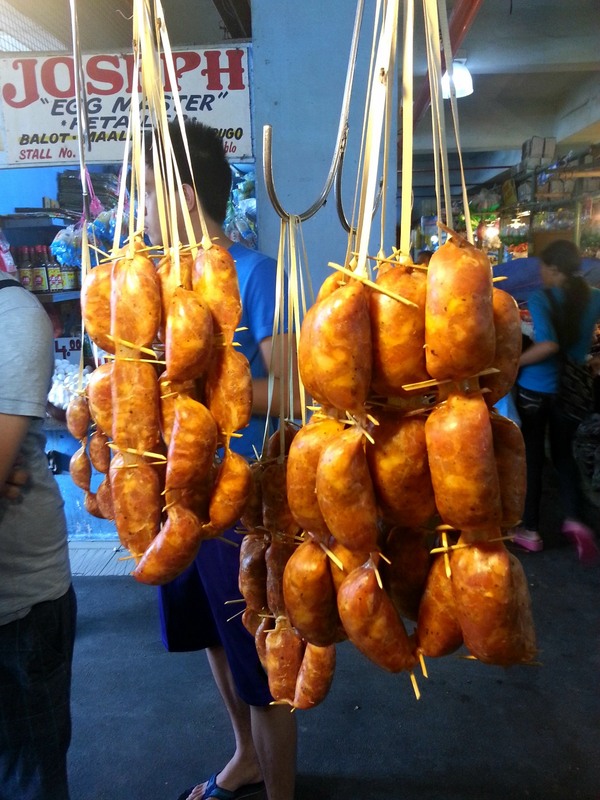 Vigan, Lucban, Cebuano or the Kapampangan longganisa versions may be the more popular varieties of “longganisa” (native sausage) for they may easily be found in the supermarkets. And Alaminos longganisa may probably be the least adored longganisa variety in the Philippines because a lot of Filipinos doesn’t even know that an Alaminos version exists! But the Alaminos Longganisa is definitely the most admired type in my mother’s household. That is why before I and my friends drove back to Manila, we stopped by the public market to purchase kilos of this delectable banger variety. Unlike the Cebuano and Kapampangan type which are rather sweet in taste, Alaminos longganisa is similar to the Vigan and Lucban variety which is garlicky in the palate. But what stands out for the Alaminos variety is the discriminatingly unique and refined saltiness. Maybe this is because it has less of the curing salt (the menacing salitre) and got more of the natural sea salt which is abundantly available in Alaminos, Pangasinan. I am highlighting the unique sophisticated saltiness of this sausage as its finest ingredient because Nengkoy believes that the best tasting coarse salt is made and can only be found in Alaminos, Pangasinan. Nengkoy so fancy the taste of Alaminos sea salt, she would even request that her pasalubong (home coming present) simply be kilos of this salt if a friend or a relative happen to be coming from Alaminos. Yeah, I know that’s how weird my mom is! Asin ang gusto. Anyway, going back to the Alaminos Longganisa. Aside from its superb taste, a distinct look about the Alaminos Longganisa is the color. It’s yellow! This is because it has atsuete (annatto) as part of its ingredient. That is why unlike the salitre-filled usually red-colored native sausages, Alaminos Longganisa when cooked turns out to be golden brown in appearance. Also, a unique form of this sausage is the usage of short and thin palm leaves’ midrib sticks to separate each sausage link from one another. To keep the meat bursting out of its sausage casing, these wood sticks are actually fried along with the meat and is served still on the plate sticking out from the ends of the sausage! So if you happen to have been served a golden brown sausage with small sticks on it, it is most probably the glorious Alaminos longganisa! Of course, like any other Filipino longganisa, Alaminos longganisa is best devoured with loads of steamed kanin (rice). Where can we buy ur longganisa we are frm cavite.